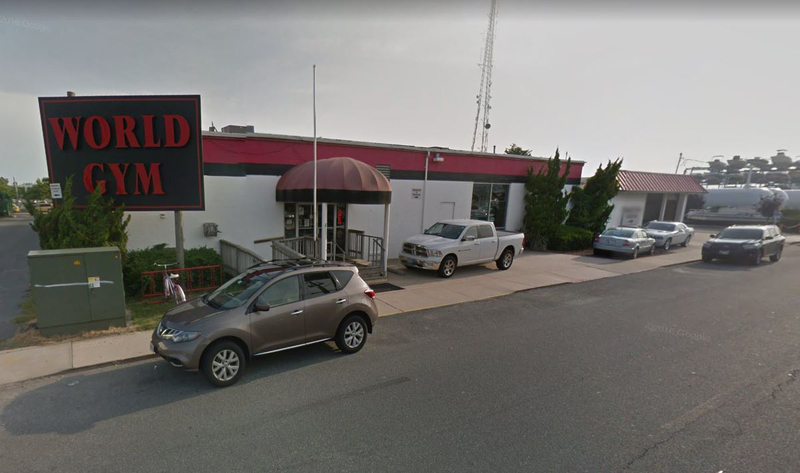 OCEAN CITY — The door was left open this week for continued dialogue to keep the World Gym at 67th Street open at least temporarily with the town in the process of buying the property for a future water treatment plant on the site. Late last year, the Mayor and Council approved an ordinance authorizing the purchase of the World Gym property at 67th Street for a little over $1.2 million. The 18,000-square-foot property is one piece of a larger puzzle of properties needed for a future water treatment plant. The purchase is complex to be sure, but in simplest terms, the property went into foreclosure last year when it became apparent the former owner had fallen into arrears on state and local taxes. As a result, the property was offered at public auction and ultimately purchased by Wells Fargo. 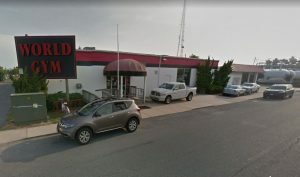 However, because the town, as a municipality, was not eligible to participate in the public auction during a trustee sale, Ocean City officials took the pre-emptive step to begin the condemnation process for the property. Once Wells Fargo bought the parcel at auction, the town was free to negotiate a fair market price for the property, which led to the proposed purchase for $1.2 million. However, left in limbo through the process has been the gym business itself and its roughly 400 members. Pete Brooks was the original business owner who held the property when it went into foreclosure and no longer owns it. It was learned this week the business including the equipment, but not the property, was purchased by Todd Clark about a year ago. Brooks has remained on hand as the general manager of the gym. It was also learned this week Clark made overtures to the city to find a way to keep the gym open for its members until the town needs the property for the future water treatment plant or until a new location can be found. Complicating the issue even further was a petition drive led by private citizen Tony Christ to keep the gym open, or, in the alternative, make the town look elsewhere for property on which to build the water treatment plant. The petition failed to meet the required number of signatures, but the effort to keep the gym open at least until the town needs the property for the water treatment plant, which could be a few years down the road, remains an option. During the public comment period of Monday’s Mayor and Council meeting, Christ urged the elected officials to continue to negotiate a lease agreement with the gym’s new owner in the interim despite the failed petition effort. For his part, Brooks said he is no longer the owner, but rather merely an employee of the gym. He outlined a pattern of emails sent back and forth about a possible lease agreement suggested the town wasn’t interested in renting the property to the gym. Brooks also pointed out it appeared the town was not seriously negotiating a lease because of his own past financial issues. Throughout the debate, there appeared to be some confusion over the ownership of the business. It appears for some on the council, it was unknown until Monday that Clark now owned the gym business. Nonetheless, Council Secretary Mary Knight pointed out the financial issues with the property prior to the town’s efforts to purchase it. Brooks pointed out Clark was now the business owner and the auction purchaser, Wells Fargo, had agreed to pay the tax liability on the property as part of its contract. Mayor Rick Meehan said regardless of the business ownership questions, the town had a fiduciary responsibility to its taxpayers. Brooks pointed out the town would not likely find another gym to come in and take over the property for a few years until it was needed for the water treatment plant. Meehan also pointed out potential liability issues with renting the facility, which has reportedly fallen into disrepair somewhat. Nonetheless, Brooks could not be dissuaded the town had not been negotiating with Clark in good faith because of the former tax issues and urged the council to reopen the conversation. The Mayor and Council heard from a litany of other supporters hoping to keep the gym open some how in the interim including local resident Barbara Webber. Local resident and gym member Steve Grossnickle also asked the council for consideration to negotiate to keep it open. Kathi Brown, a trainer at the gym, also asked the elected officials to find a way to buy more time for the facility. After the public comment period, Councilman Mark Paddack confirmed he had been in contact with Clark earlier MOnday afternoon about finding a way to negotiate a lease and that Clark would have been there Monday night but instead was handling a family health crisis. Paddack made a motion to reopen the negotiations with the new owner to lease the gym space until such time as the city needed it for the treatment plant. Paddack pointed out his own relationships forged decades ago at a now defunct midtown gym as reason for at least trying to find a solution. Paddack said there might be an opportunity for a win-win for all parties if the lease negotiations were reopened. Paddack’s motion to reopen negotiations passed by a 4-0 vote with Council President Lloyd Martin and Councilmember Tony DeLuca absent. It was pointed out the negotiations should begin in earnest with the eviction process pending soon.